Who doesn't love cheesecake? 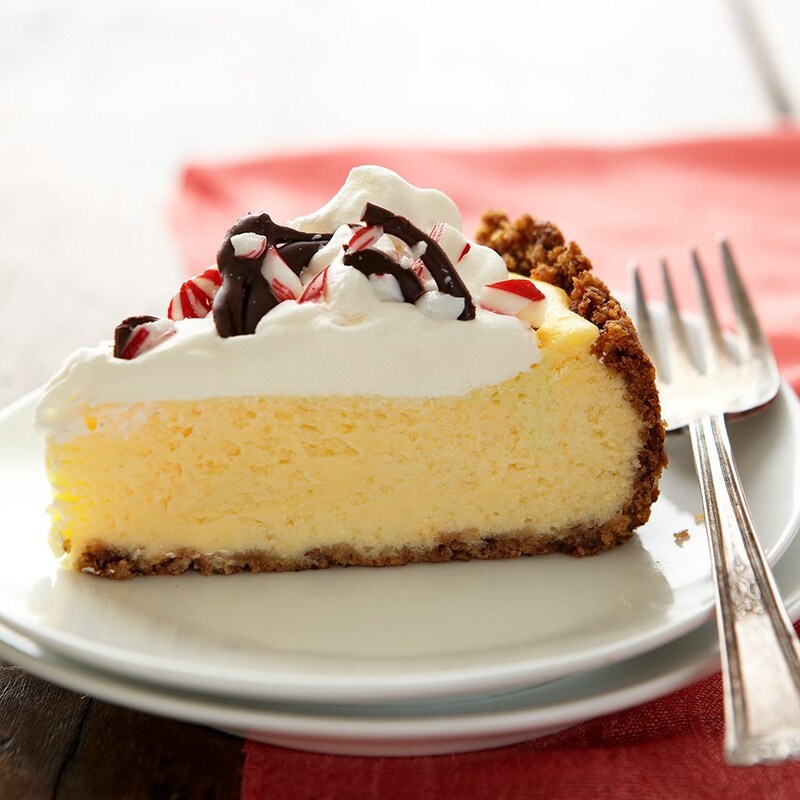 The filling in this recipe is made with a blend of reduced-fat cream cheese, marshmallow creme and Greek yogurt, so it's not as dense as most cheesecakes. It's topped with light dessert topping and sprinkled with a sweet and crunchy mint topping.